Brought to the court's attention by Samsung in an effort to bolster its motion for a new trial, the USPTO decision invalidated all 20 claims of Apple's U.S. Patent No. 7,844,915 after reexamining the property. The Korean company also said in the court filing that the finding was relevant to block Apple's motion for an injunction against a number of Samsung products. Presiding Judge Lucy Koh on Monday denied both Samsung's motion for a retrial and Apple's request for an injunction, though the decisions can be appealed at a later date. During the Apple v. Samsung jury trial, Apple asserted Claim 8 of the '915 patent, which covers the heuristics of the "pinch-to-zoom" gesture that invokes the scaling of displayed content. The jury found all but two Samsung products brought to trial infringed on the patent. 8. A machine readable storage medium storing executable program instructions which when executed cause a data processing system to perform a method comprising: receiving a user input, the user input is one or more input points applied to a touch-sensitive display that is integrated with the data processing system; creating an event object in response to the user input; determining whether the event object invokes a scroll or gesture operation by distinguishing between a single input point applied to the touch-sensitive display that is interpreted as the scroll operation and two or more input points applied to the touch-sensitive display that are interpreted as the gesture operation; issuing at least one scroll or gesture call based on invoking the scroll or gesture operation; responding to at least one scroll call, if issued, by scrolling a window having a view associated with the event object; and responding to at least one gesture call, if issued, by scaling the view associated with the event object based on receiving the two or more input points in the form of the user input. The USPTO's decision cited multiple cases of prior art including two U.S. patents, one international property and two Japanese filings. 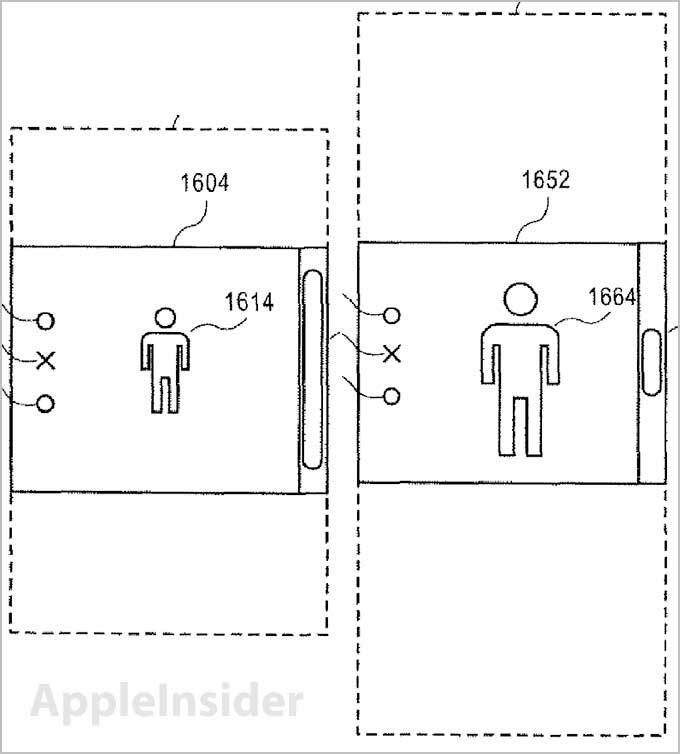 In October, the agency invalidated Apple's "rubber banding" or scroll bounce-back patent in a non-final Office action. Apple and Samsung will continue their post trial hearings this week, with presiding Judge Lucy Koh expected to issue a rulings on motions from both parties including an important judgment on damages.